Brian and Mojo discuss some of the problems plaguing the BC Lions as they take their 2nd and final bye week of the season. Recent Canadian Football Hall of Fame inductee Larry Reda joins us to talk about the events surrounding his induction and the 60 plus years he’s been involved with amateur football in BC and in Canada. Listener Eric Edlund stops by. This show was recorded on August 25th, 2015. Contest: Win tickets to Saturday’s BC Lions game versus Montreal via Telus and The Fan Cup! The contest is now closed. Congratulations to our winner Angela Shoemaker! Everyone knows that this season marks the 100th anniversary of the Grey Cup championship in Canada. The league is doing many cool things throughout the year to mark the special occasion, and Telus is sponsoring a really neat idea that they wanted us to share with you. Starting this Saturday, September 8th, fans will have the opportunity to put their name on a 100th anniversary replica Grey Cup that will sit alongside the greats of the game inside The Canadian Football Hall of Fame. 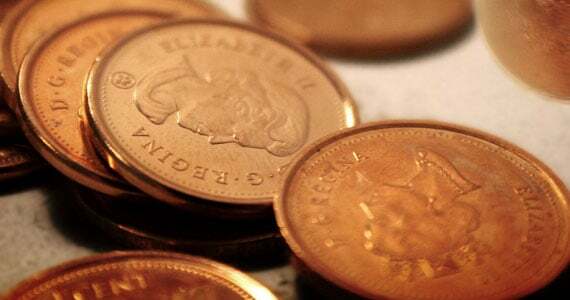 Cast from the copper of Canadian pennies, The Fan Cup will be engraved with the names of thousands of CFL fans from across Canada and reside in the Hall of Fame as a symbol of appreciation for a century of loyal fan support. Fans will create The Fan Cup trophy during The Grey Cup 100 Tour by using a custom-built Telus Penny Press to make their own 100th Grey Cup Game collectable out of a real Canadian penny. Every penny pressed by a fan will be collected and used to create The Fan Cup which will then be etched with all fans’ names. The Grey Cup 100 Tour will make 100 stops across Canada, giving fans the chance to experience a momentous piece of the CFL first-hand and be part of the Fan Cup. The official unveiling and first pull of the TELUS Penny Press will take place at the BC Lions’ Telus Game Day versus the Montreal Alouettes in Vancouver on Saturday, September 8, 2012 at 11 a.m. in Terry Fox Plaza. Fans will have the opportunity to join CFL Hall of Famer and Canadian Sports Hall of Famer Lui Passaglia, CFL Commissioner Mark Cohon and Telus CFO Robert McFarlane, along with a local KidSport Canada Ambassador to be one of the first fans to make their mark on The Fan Cup presented by Telus. Fans can also visit www.telus.com/fancup to take part in The Fan Cup virtually. Everyone who participates online will have their name displayed with The Fan Cup in the Canadian Football Hall of Fame. Telus will contribute $1 for every virtual penny pressed to KidSport Canada and will give an extra $1 if they share their Fan Cup experience on Twitter or Facebook. KidSport Canada is a national not-for-profit organization that provides funding to help children in need across Canada play organized sports. By removing financial barriers and increasing access to sport programs, KidSport contributes to developing healthier, more active and well-rounded children. Since 2000, TELUS has given more than $200,000 to KidSport. Telus has given us two tickets to Saturday’s game to give away to help spread the word of this once in a lifetime chance to be part of CFL history. For a bonus entry, leave a comment here about the Fan Cup or how you would like to attend the game on Saturday. I will announce a randomly drawn winner Friday evening from the total number of entries. Winners will be put in touch with an event representative and will need to arrange for pick up of the tickets on game day. For more information about TELUS presents The Fan Cup, visit www.telus.com/fancup. My friend and Toronto Argonauts fanatic Lori Bursey sent me this video. I have to say I had to think about posting it because well…it’s pretty bad. But I’m all for team spirit and the effort is certainly there. Heavy Eric wrote a tribute song to former Canucks player Todd Bertuzzi a few years ago and I guess this is his stab at supporting the BC Lions. He’s also asking for people to make a small donation to the Canadian Football Hall of Fame which we’re all for.